Should You do Specific Workouts for Running for Cyclocross? 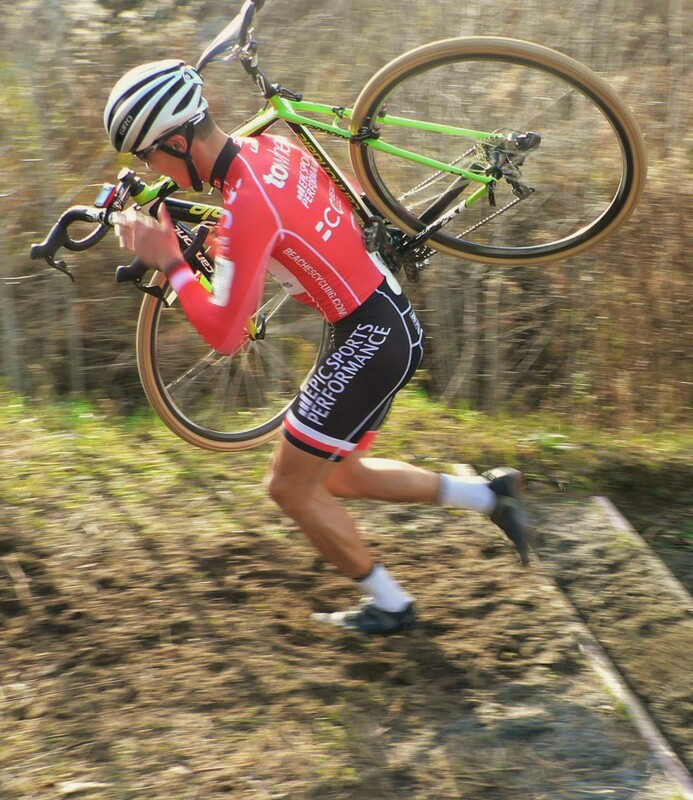 Running is a big part of cyclocross. Its one of the key elements that makes cyclocross what it is. Without the necessity to get off your bike and run, cyclocross would be little more than mountain biking on boring courses or grass crits. And the amount of running and the importance of that running can vary greatly from course to course and on the weather. Most cyclists shun running like some sort of disease but should you incorporate specific running workouts in your cyclocross training? 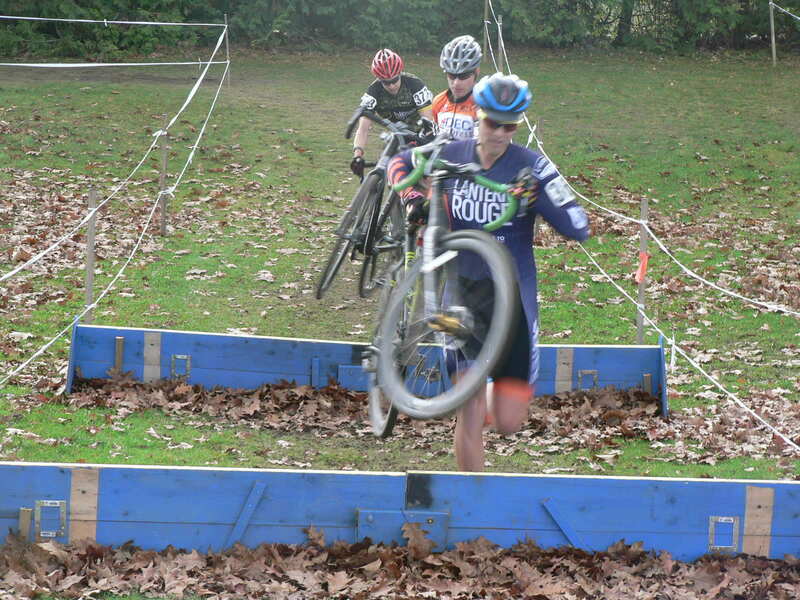 Running in a cyclocross race is nothing like going for a jog on the road or a track. Courses are rarely flat, hard, or smooth like a road nor are the efforts long and steady like a normal jog. So racers probably wont benefit from going for long, steady runs on the road. According to UCI rules, the longest obstacle, thus forced dismount, is 80 meters so most runs will be less than that. But weather, course conditions, and rider ability can change the amount and length of the runs required. For example, more running will be required on a really muddy course or a weak sand rider may be forced to run more on a very sandy course. But in that case, maybe your time would be better spent training riding in the sand. 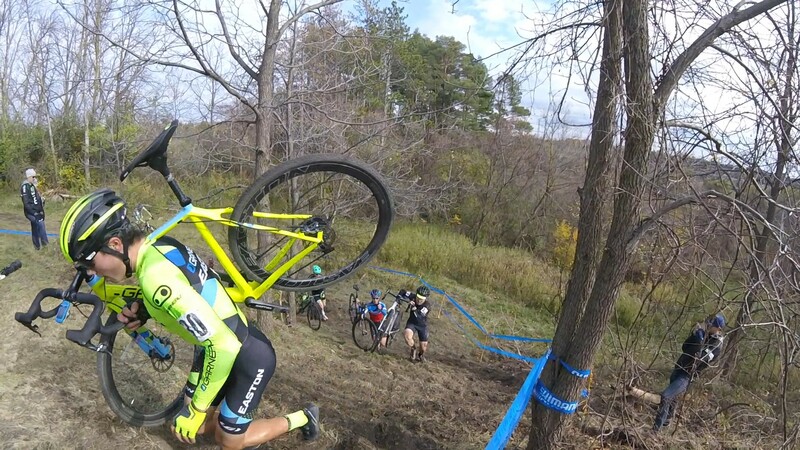 Running on a cyclocross course is very different than running on a road. First, you are running off road on uneven terrain, through mud and sand, and up hills. Second, you are running in awkward cycling shoes. And third, you are carrying or pushing a bike with you. Incorporating running drills into your on bike skills work is the best way to prepare for the demands of a cyclocross race. Its also a good way to practice your mounts and dismounts. Ideally, sprint up a hill or through some sand similar to what you would find on a course. Basically, if you are going to include specific drills for running for cyclocross incorporate them into your training before the season starts in order to give your body time to adapt to the stresses of running, especially your knees and ankles. Also, make sure to make you workouts as cross specific as possible. For example, do some trail runs, hills sprints, or stairs. In conclusion, yes you should probably include some specific workouts for running for cyclocross. You probably aren’t going to win a race with your running, but you could lose one.